I am a photographer based in Nairobi Kenya. 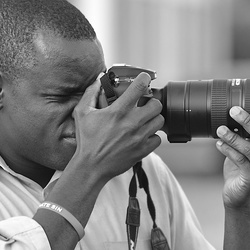 Started working as a full time photographer in December 2013. I am Bachelor in commerce graduate, but i quit accountancy to follow my passion. I do a lot of weddings, portraits and family portraits. Fstoppers' How To Become A Professional Commercial Wedding Photographer DVD changed my life.